Sturm, Ruger & Company, Inc. (NYSE-RGR) proudly introduces four new Target models to the Ruger American® Rimfire family. 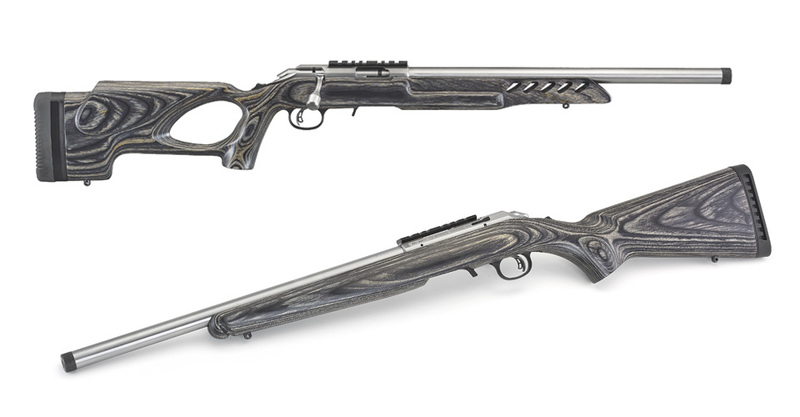 Constructed from stainless steel for superior aesthetics and corrosion resistance, all four rifles live up to Ruger's reputation for accuracy and rugged reliability. 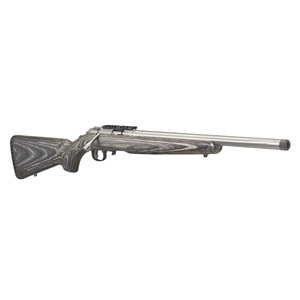 Each of these new rifles feature a satin, 416 stainless steel barrel, bolt and receiver. The 18" cold hammer-forged barrel is finished with a 1/2"-28 threaded muzzle and an 11-degree target crown. The contrasting black thread protector, bolt release and one-piece scope base compliment the Target model's hallmark black laminate stock. The fourth addition to the family is chambered in .22 LR and features a classic target thumbhole stock with a generous cutout, symmetrical grip and broad comb for superb comfort and control. A flat forend, front and rear swivel studs, metal trigger guard and rubber buttpad with 1/4" and 1/2" length of pull spacers installed complete the package. For more information on the Ruger American Rimfire or to learn more about the extensive line of award-winning Ruger firearms, visit Ruger.com or Facebook.com/Ruger. To find accessories for the Ruger American Rimfire and other Ruger firearms, visit ShopRuger.com or your local independent retailer of Ruger firearms.